A Green candidate for the London Assembly did not tell the party about a Sun article which claimed he could teach women to make their breasts bigger through hypnosis. 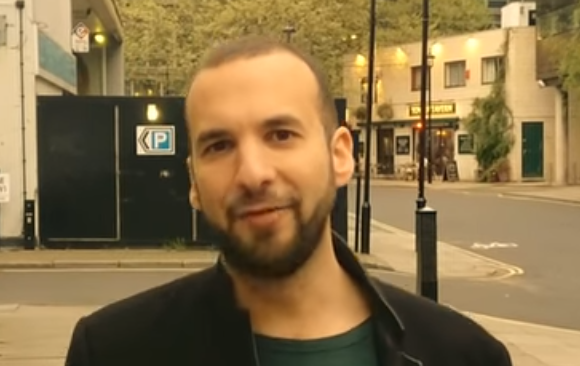 Zack Polanski has recently been elected by party members as the third candidate on the Green Party’s list for the 2020 London Assembly elections. In 2013, a Sun article portrayed Polanski as a hypnotist who could teach women to increase the size of their breasts through hypnosis. He charged £220 for a 90-minute session, the article said. All candidates were required to fill in a disclosure telling the party about anything which could prove embarrassing during the campaign. According to a party spokesperson, Polanski did not mention this article in his declaration and, now they were aware of it, no further action is being taken. When asked for more details of how the Sun article was misleading and whether he had complained, Polanski said: “I went on BBC Radio on the Peter Levy Show the same week, on the 18th June 2013 to correct any misperceptions there might have been about the contents of the article”. Left Foot Forward was unable to verify this as the episode is no longer available. Before joining the Green Party, Polanski was a member of the Liberal Democrats and sang on stage at their 2015 Liberal Democrat conference. In 2016, he tried to become the Liberal Democrat candidate for the Richmond Park seat in Parliament but he was not shortlisted. In July 2016, he wrote a blog criticising the local party’s decision not to shortlist him. In October 2016, after Sarah Olney was selected, he left a comment on LibDemVoice again criticising the decision to “block” his candidacy. At first, Polanski told Left Foot Forward he joined the Green Party in 2016. He then said this was an error and he joined the party in 2017. According to one senior member of the London Green Party: “He quit the Lib Dems in a strop when they wouldn’t let him run in Richmond Park”. Polanski disputes this. He claims he left the Liberal Democrats and joined the Greens in 2016 because “he was deeply unhappy with the [Liberal Democrat] party’s support of air strikes in Syria”. While some Liberal Democrat MPs rebelled, the party’s leadership supported air strikes on Syria in parliament in 2013 and 2015. “I am delighted to have been selected by the Green Party as a candidate for the London Assembly elections,” he added. Since joining the Greens, Polanski has twice urged twitter users to vote for either the Greens or the Liberal Democrats rather than Labour. He did so in August 2018 and December 2018. The Greens currently have two London Assembly members, Sian Berry and Caroline Russell, who are also their top two candidates in the 2020 election. Polanski also put himself forward to be the Green Party’s London Mayoral candidate but was defeated by Sian Berry. He is also the Green parliamentary candidate for the Cities of London and Westminster constituency. Update: This article was changed after Zack Polanski said the Green Party’s original statement had contained an error. He said he joined the Greens in 2017, not 2016, as originally stated by the Green Party. The article also changed to include Polanski’s claim that he went on the BBC to correct the Sun article. Previously, the article said he had not replied. A bizarre article – possibly a contrived storm in a ‘D’ cup! Why does he need someone to put his case? It is easy to make a comment on this site.